Pochard Lodge is fabulous. It is our biggest Lodge. It has a large spacious living area with two large sofas well as the fully fitted kitchen and bathroom. 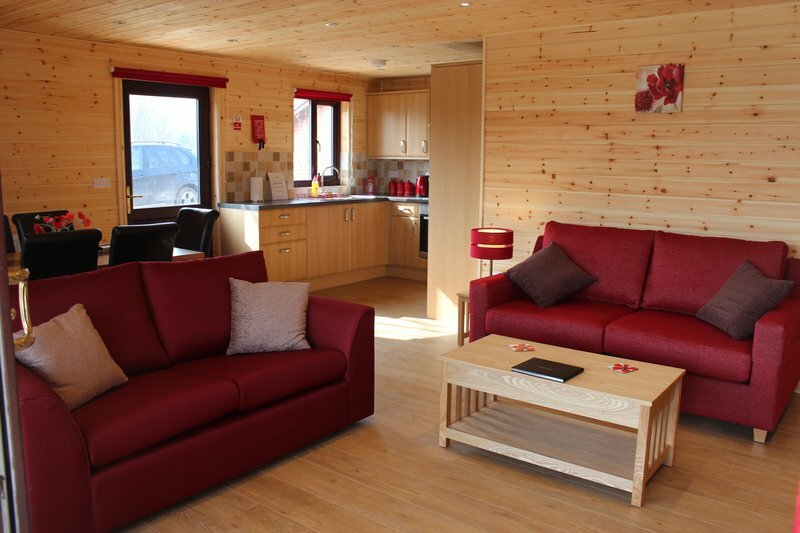 Pochard Lodge also benefits from having two separate bedrooms each containing a fitted wardrobe and double bed. It is ideal for two couples to share a holiday break together. One of the sofas in the Lounge is also a high quality double sofa bed, which enables the Lodge to let up to 6 people to enjoy a good nights sleep! The Lodge is fully fitted for a self-catering holiday with a fully equipped kitchen including electric cooker and gas hob, a large fridge-freezer, microwave & kettle and all the normal crockery, glassware, cooking utensils and cutlery for up to 6 people that you would normally expect. It has a dining table which seats 6 people comfortably. The Lounge also contains a large Smart TV and DVD player. In short it is a fantastic log cabin for fishing and enjoying a holiday break in. 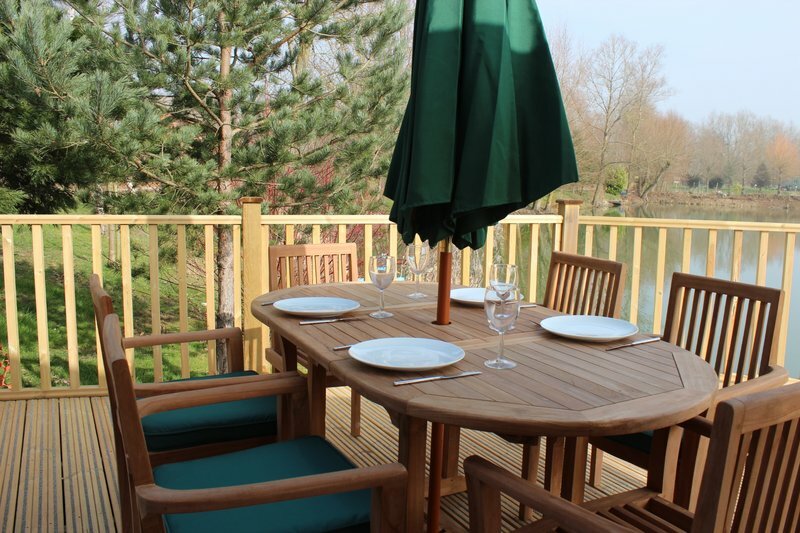 Pochard Lodge has an extensive area of decking and a large over-hanging roof which is good to sit under if the sun is too strong or it is raining hard! It also has an extra large private sun deck which benefits from the sun throughout the day. This feature has proved to be very popular with ladies. This area is also great for your evening BBQ and a place to enjoy a glass of wine! We also supply a sturdy BBQ holder for disposable BBQ's . So bring your own disposable BBQ's and round off the day eating and drinking al fresco!. Large outside balcony is great for BBQ's and booze! 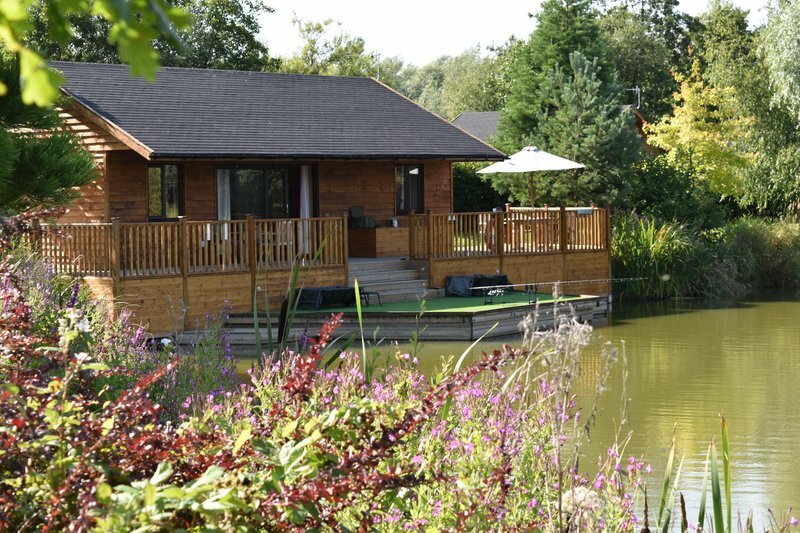 Pochard Lodge has a large fishing platform which extends out over lake and provides a commanding position to fish all areas of the lake. The fishing platform is comfortably large enough for two anglers and could accommodate up to 3 anglers. 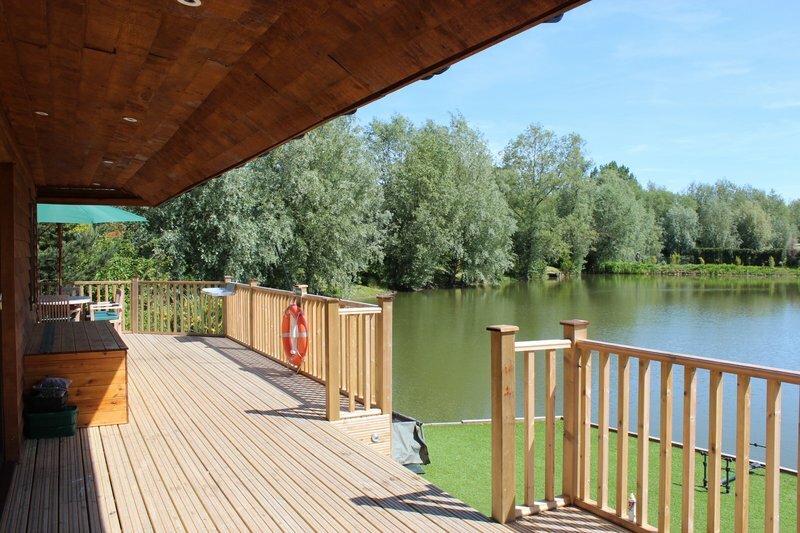 The astro-turf on the platform makes the deck very comfortable to fish from as well as look at. Similar to all the other Cherry Lakes Lodges, guests can drive up to Pochard Lodge to load and unload their cars on arrival and departure. During your stay all cars are parked in the car park.